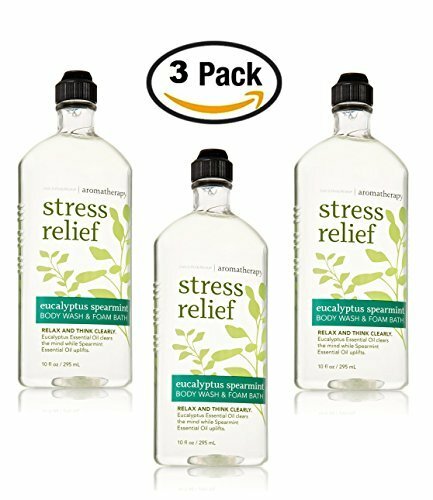 Lot of 3 Bath & Body Works Aromatherapy Stress Relief Eucalyptus Spearmint Body Wash & Foam Bath- 10 fl oz each. A fast foaming body wash infused with essential oils to nourish and soothe your skin while relaxing your senses. Breathe deep to help clear your mind and make it a relaxing experience. If you have any questions about this product by Bath & Body Woods, contact us by completing and submitting the form below. If you are looking for a specif part number, please include it with your message.